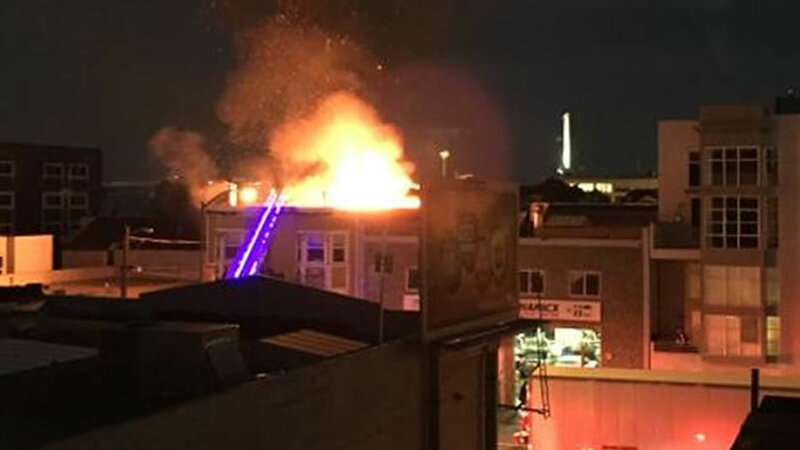 SAN FRANCISCO (KGO) -- San Francisco firefighters responded quickly to a two-alarm fire on the 200 block of Dore Street, near Harrison, in the South of Market area. The fire broke out around 7:30 p.m. and started between two buildings. Witnesses say the firefighters got to the scene really quickly and prevented the fire from spreading. The Red Cross was on scene helping six residents who were displaced from their home. At the time, the 12-Folsom and 47-Van Ness Muni bus lines were both affected.